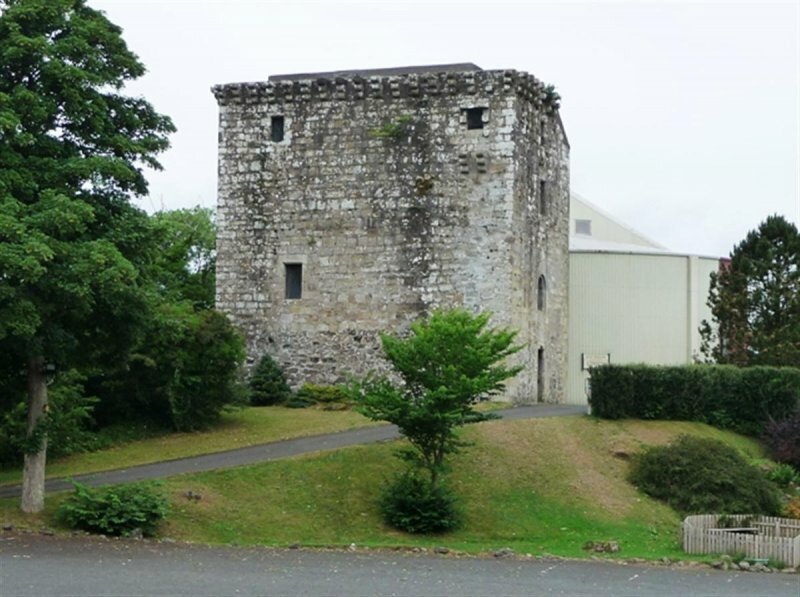 Mid XV century tower house. 30' x 44' about 40' high. Embattled parapet on corbelled wallhead. Concrete roof. 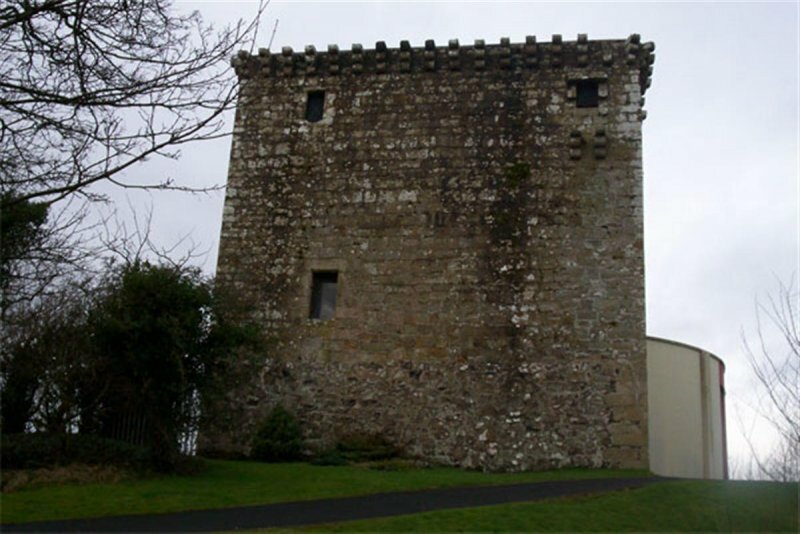 The Maxwells were powerful knights in the service of the Scottish crown and held the important border castle of Caerlaverock. 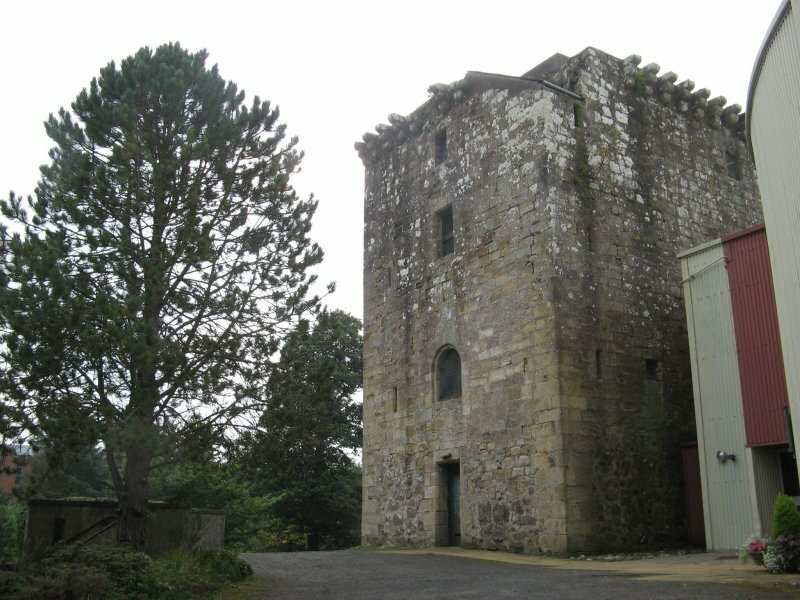 The final Maxwell to own the castle was Sir George of Nether Pollok in the 17th century. 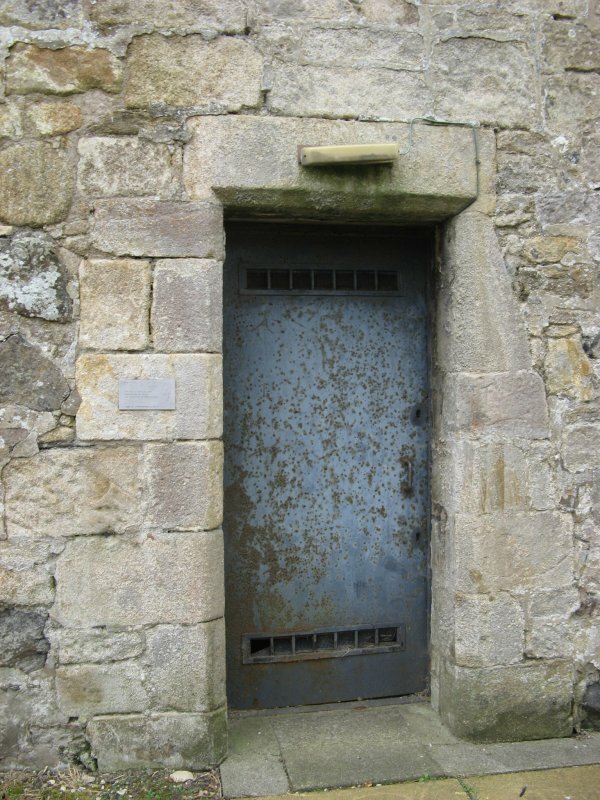 During the Covenanting period in the 1600s the castle housed a garrison of dragoons who terrorised the area. 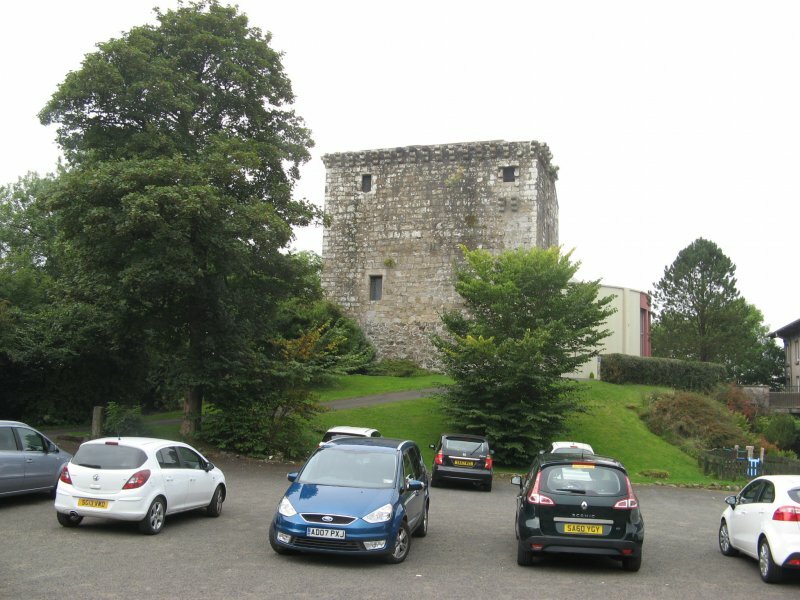 Mearns Castle was incorporated into the Maxwell Mearns Church in 1971. 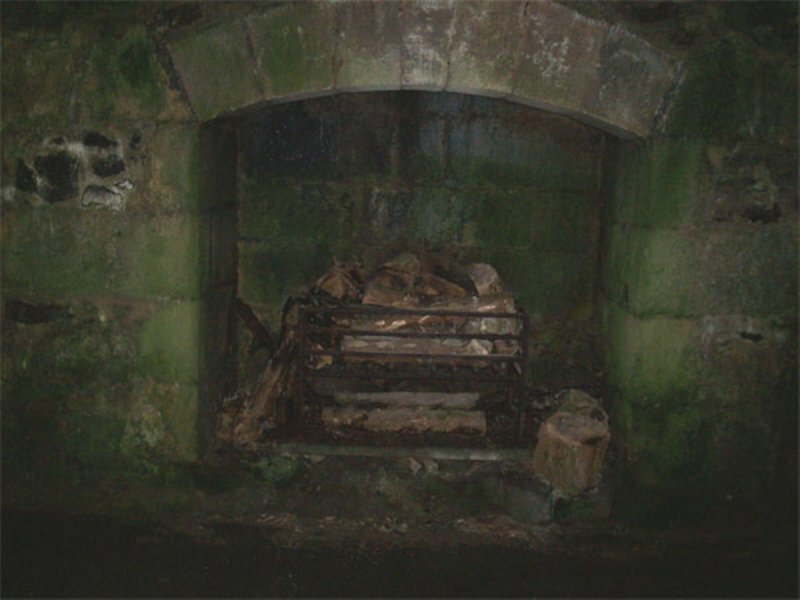 (East Renfrewshire Council). 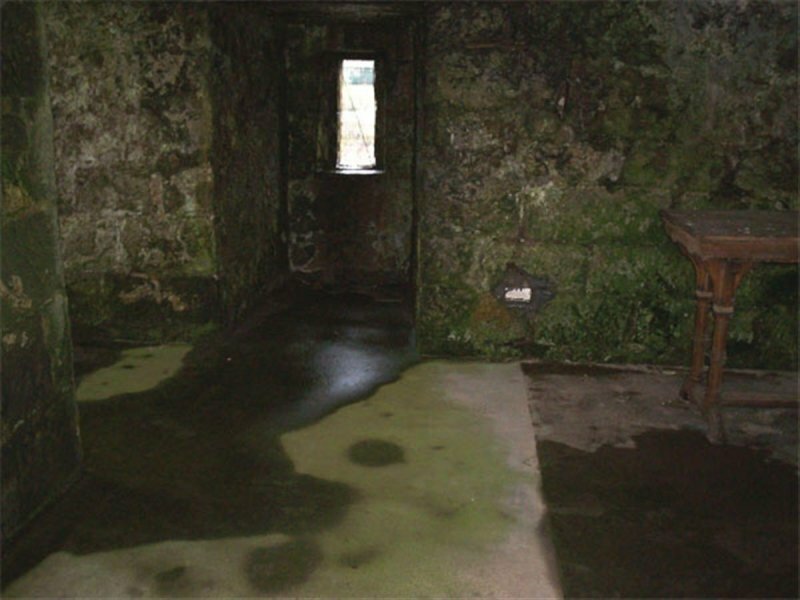 February 2008: The castle is extremely damp internally and externally. There are large green patches on the internal walls of the upper floors. The pointing is in poor condition. 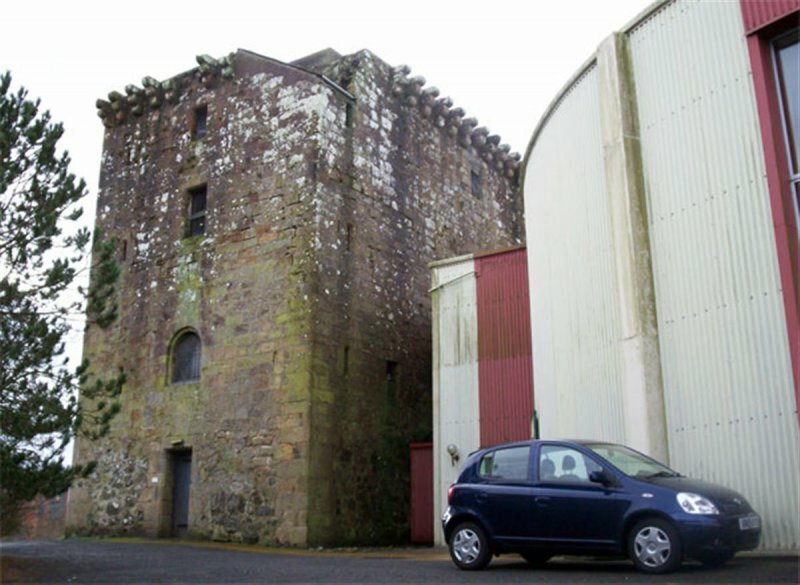 July 2010: External inspection finds the building remains disused. It is exceptionally damp. 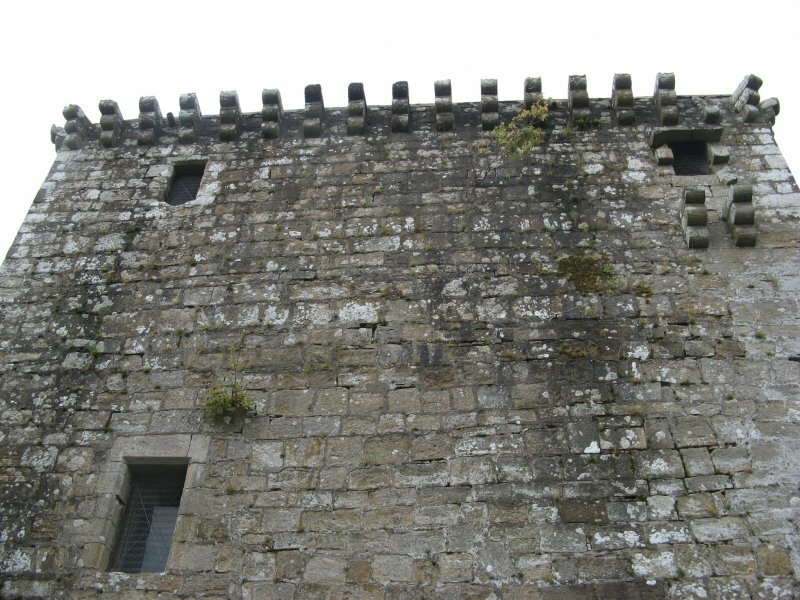 There are plants growing in the masonry joints. 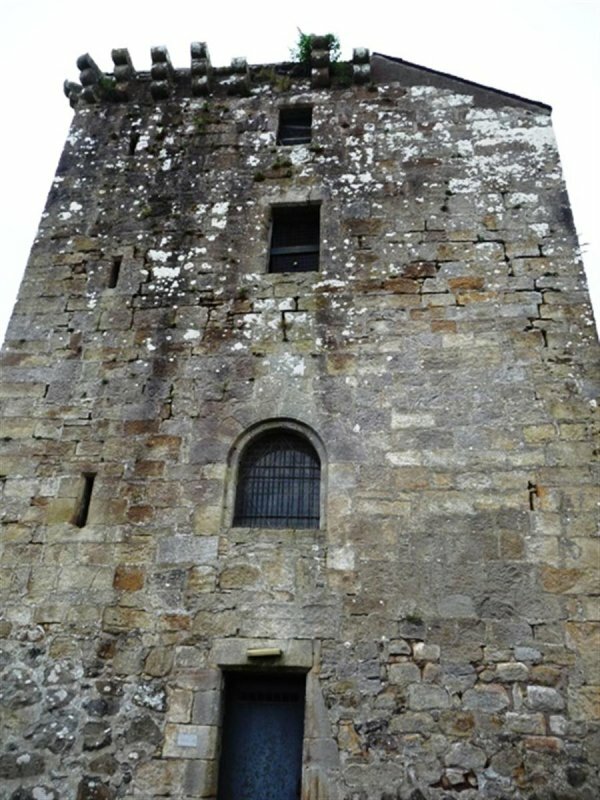 Much mortar has been lost from the joints on the entrance (east) elevation. Unsympathetic cement mortar repairs are failing in the damp conditions. 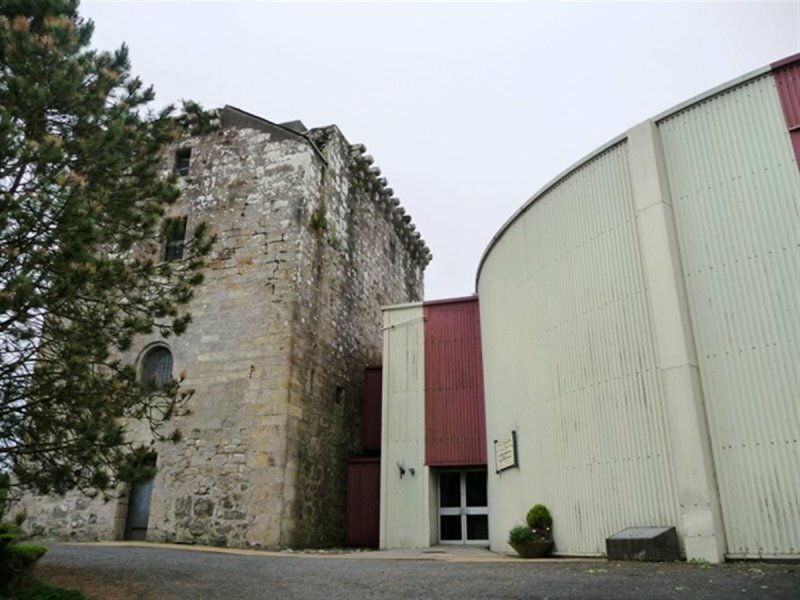 4 September 2014: External inspection finds the building damp but secured. Risk level reduced to Moderate.